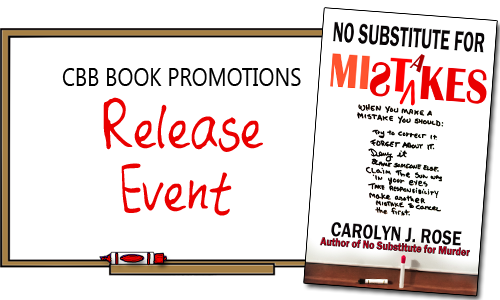 I’m excited to welcome you to the release event for No Substitute for Mistakes by Carolyn J. Rose. 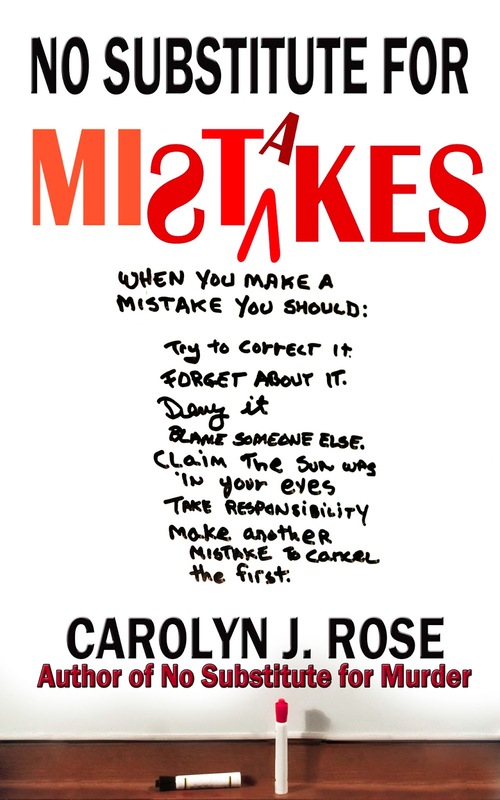 This is the fifth book in the Subbing isn’t for Sissies series and is now available for sale! 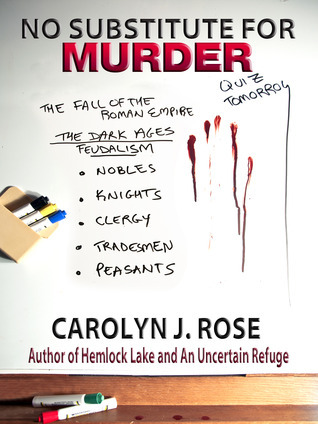 This is a cozy mystery series and the first three books are only .99 cents! When substitute teacher Barbara Reed agrees to fill in for an instructor at a juvenile detention facility, she fears it’s a huge mistake. The job is stressful and confining. 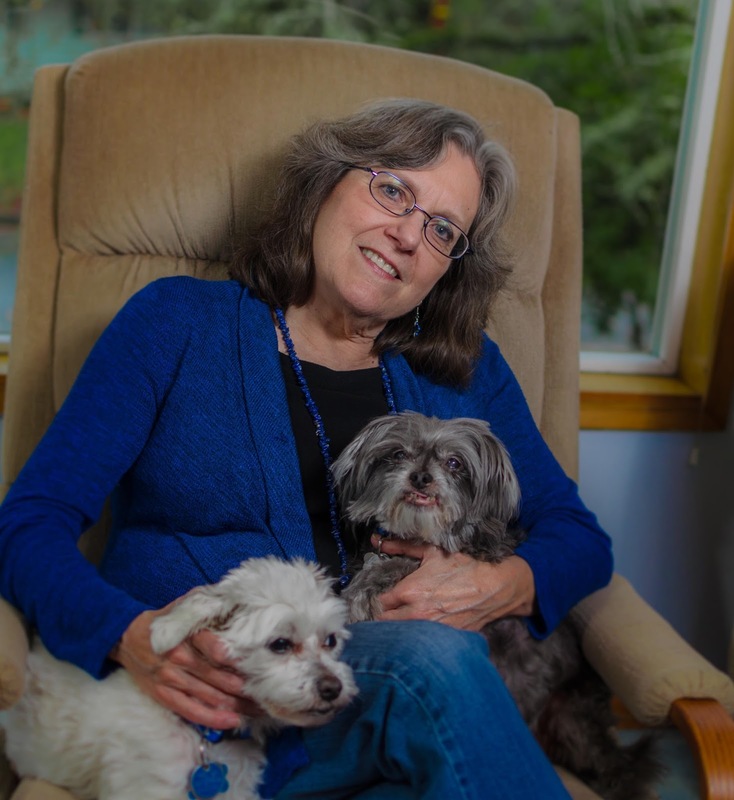 But Barb needs a paycheck, and a looming teachers’ walkout could eliminate regular subbing opportunities in Reckless River , Washington . Then things get worse. Disgruntled teachers hire Barb’s bombastic sister to lead their protest. 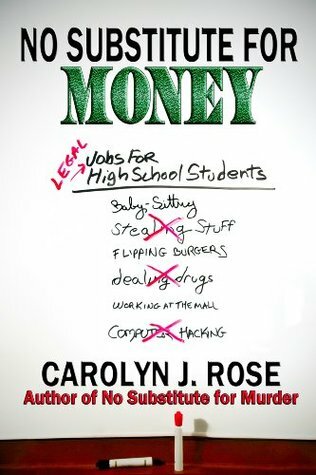 Barb’s friend Paulette discovers her interior decorating assignment pays in drug money. And Barb learns the hard way that snooping can be hazardous to her health. 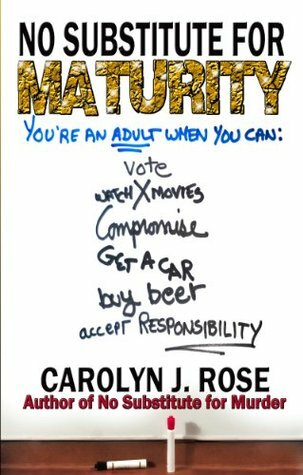 Don’t miss out on the first three books, only .99 cents! 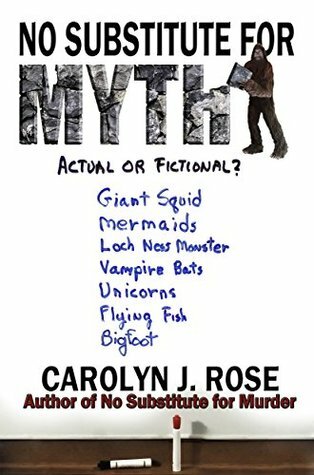 And the fourth book, No Substitute for Myth.